For more than a decade, attorney Lisa C. Rico has been providing comprehensive commercial litigation services to individuals and businesses in the state of Utah and nationwide. In that time she has taken on cases involving fraud, shareholder disputes, construction litigation, negligent misrepresentation and claims for dissolution at the director and shareholder level. 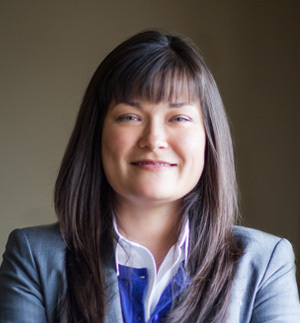 Her extensive knowledge of commercial law and her experience in the courtroom allows her to give all of her clients the effective legal services their cases need. In 2009, Ms. Rico was selected as one of Utah’s legal elite in the area of commercial litigation and was published in Utah Business. That same year, she was selected as a rising star in the Mountain States edition of Super Lawyers®. These distinctions are in recognition of Ms. Rico’s knowledge of the law and the sophisticated service and individualized attention she brings to each case. If you are in need of a dedicated commercial litigation attorney in the state of Utah, call the office of Larsen & Rico at 801.364.6500 or contact us online today to schedule an initial consultation. Our office is located in Salt Lake City, within walking distance of both state and federal courts.